Afro Hair and Beauty Live is back for it’s 35th year | We have 5 pairs of tickets to give away! From our mood to our immune system, the vegetarian lifestyle can provide us with a vast array of health perks. 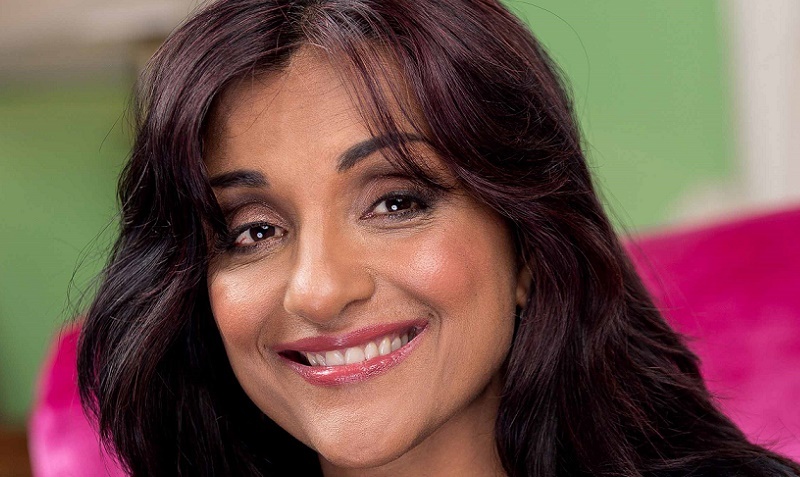 Professional Holistic Health specialist, nutritionist, raw chef and life coach, Geeta Sidhu-Robb, is the founder and CEO of Nosh Detox, the UK’s first home delivery service of non-pasteurised juices and meal plans. Nosh Detox develops food and juice programmes that address a multitude of health and well-being issues, from treating problem skin to weight issues, digestive problems to coping with stress and building the body’s natural defences to fight infections. Products are freshly made and nutritionally supported by experts and delivered across Europe & UK. Geeta won the PRECIOUS Awards Entrepreneur of the Year award in 2010. Here she gives us her top six health benefits of being a vegetarian. Research has revealed that vegetarians may be happier than their meat-eating counterparts. In fact, it was discovered that vegetarians had lower scores on depression tests and mood profiles when compared to fish and meat-eaters. When done right, vegetarian diets are naturally low in saturated fats, and cholesterol. They have been shown to reduce heart disease risk and what’s more, data shows conclusively that vegetarians suffer less disease caused by a modern Western diet (e.g., coronary heart disease, hypertension, obesity type 2 diabetes, diet-related cancers, constipation, and gallstones, among several others). Why? This can be attributed to a higher intake of fibre, phytonutrients, antioxidants, flavonoids, and carotenoids. Further emphasising what I was saying about the vegetarian diet, especially organically, being purer, it is of course far less in toxicity. Food-born illnesses, bacteria, parasites, and chemical toxins are more common in commercial meat, poultry, and seafood when compared with plant foods, (particularly organic fruits and vegetables). Vegetarians also eat less processed food as a rule. A plant-based diet is better for the planet as it requires less energy and farmland to feed a vegetarian. By a factor of thousands. Plant foods tend to be less expensive. It’s also much more filling as it has so much more fibre and is nutrient dense. So you eat less and stay full for longer. While most active individuals focus on protein intake, they should Instead follow a high-carbohydrate, good-fat, and vitamin and mineral-rich vegetarian diet for optimum sports performance. Conflicting studies exist, but the number of world-class vegetarian sportsmen continues to rise, Lewis Hamilton, for example, has recently spoken of his mission to go vegan. Vegetarian diets are packed full of essential nutrients, but in the absence of meat, it is vitally important that we make sure we are still consuming the correct amounts of proteins in other forms. Protein is made up of small parts called amino acids, which aid your metabolism and help to keep your muscles, skin and organs healthy. Eggs are a great source of protein for vegetarians. Vegan options include nuts, peanut butter, seeds, grains and legumes. Iron is another key nutrient and plays a crucial role in the production of red blood cells. These can help to carry oxygen throughout your body. Good sources include beans, broccoli, raisins, wheat and tofu. Omega-3 fatty acids improve your heart health and brain function. Flaxseed meal and oil are two good vegetarian sources of omega-3. You can also look to plant sources. Finally, Zinc is vital to our immune system. A lot of cheeses contain zinc, but you can also find it in beans, nuts and soy products which contain fewer calories. We loved these recipes. Why not give them a try? 1. Preheat the oven to 180C / 350F / Gas Mark 4. Grease and line two 20cm cake tins. 2. In a small bowl, mix together the chia or flax seeds and yoghurt and set aside for 5 minutes or so until the mixture turns ‘gloopy’. 3. In a food mixer, beat the margarine and sugar together for 3-4 minutes, (yes, really! ), until pale and fluffy. 4. Add the yoghurt & chia/flax-seed mixture, and the vanilla extract, and then add them to the mixer and beat. (If the mixture looks ‘curdled’ just add a few tablespoons of the flour to the mix and beat again). 5. Add the flour, (the remainder if you have added some already), and slowly fold it into the mixture, until fully combined. 6. Divide the mixture between the two tins, and bake for 15-20 minutes until an inserted skewer or knife comes out clean. Then remove from the oven and turn out onto a cooling rack. 7. To make the butter-cream, just beat the margarine, icing sugar and lemon zest in a food mixer for 3-4 minutes until very light and fluffy. 8. When the cakes are completely cool, (a few hours at least), smother the top of one with plenty of jam, then smother the butter-cream over the bottom of the other cake. Carefully sandwich them together, then sprinkle the top of the cake liberally with icing sugar. Nutrition: 400 calories. Fibre Rich as well as Vitamin A, B and mineral calcium and iron-rich. Make sure you have all of your items chopped and ready to go as this recipe is going to go fast. In a wok or frying pan, add your oil and heat to medium-high heat. Add your fresh ginger and garlic (please note if you are using dried ground ginger and garlic add these only after you have added your vegetables to the wok) and stirfry just until aromatic then quickly add your carrots and broccoli. Keep stirring and keep the items in your wok moving. Remove lid from your wok/frying pan and toss your veggies. The water should be evaporated. Add the cooked brown rice and curry powder and toss until all of the rice is well coated. (If your rice starts to stick then add just a touch more olive oil). Add a handful of spinach and just toss until wilted about 1 minute. Taste test your stir fry and adjust seasoning as desired.